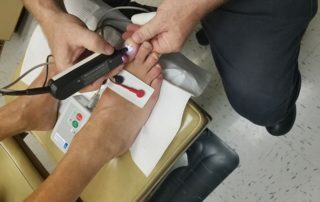 Targeting Fungus at its Source. 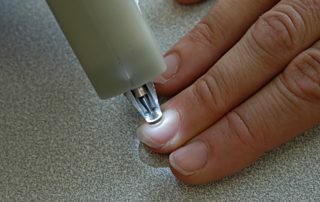 Micro-drilling is a pain-free procedure that creates micro-pores into patients’ nail plates allowing oil-free, topical antifungals to reach the nail bed. 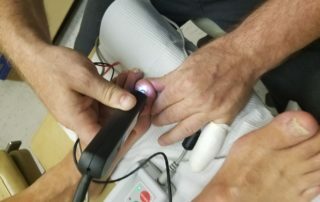 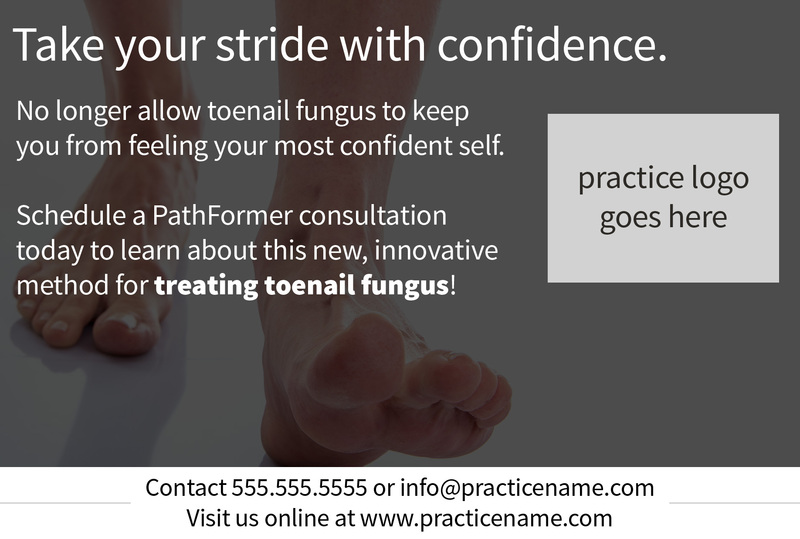 By drilling through the nail plate, podiatrists are now able to more effectively treat the source of a fungal problem. 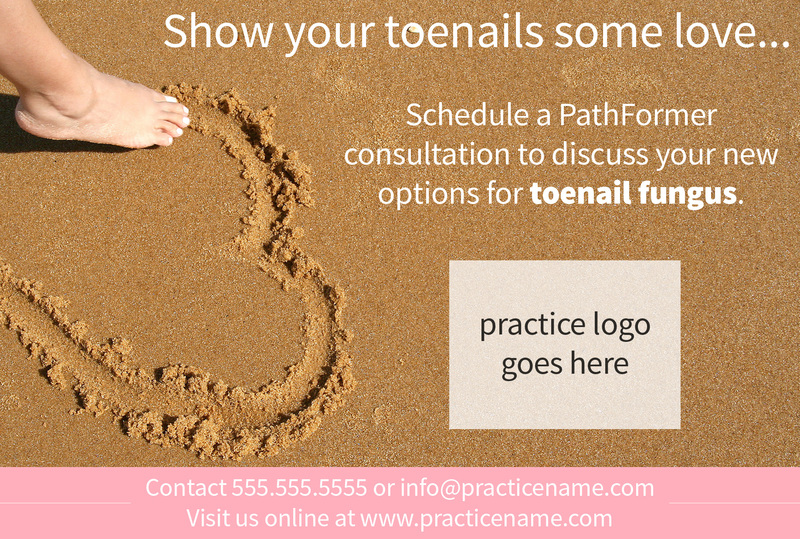 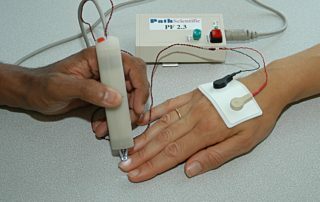 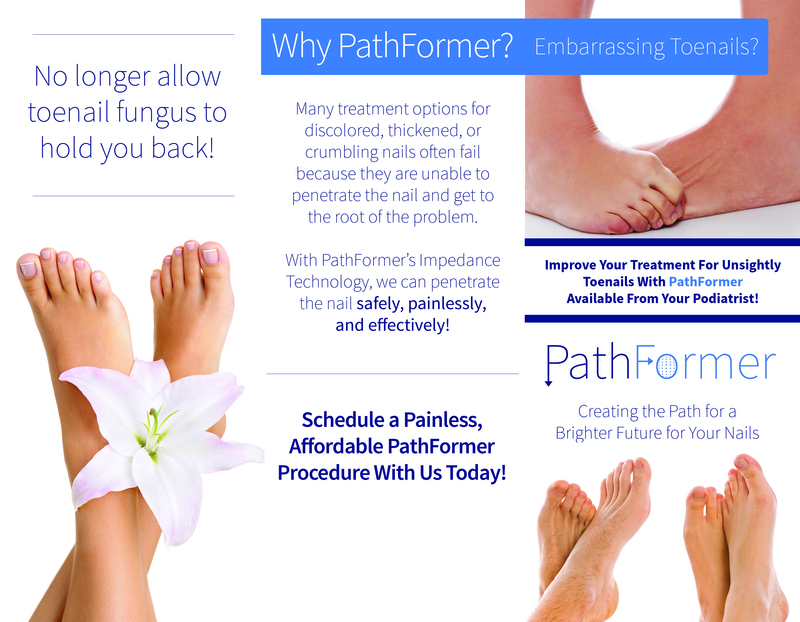 Due to impedance technology, PathFormer knows when to auto-retract before it ever reaches the soft tissue of a patient’s nail bed. 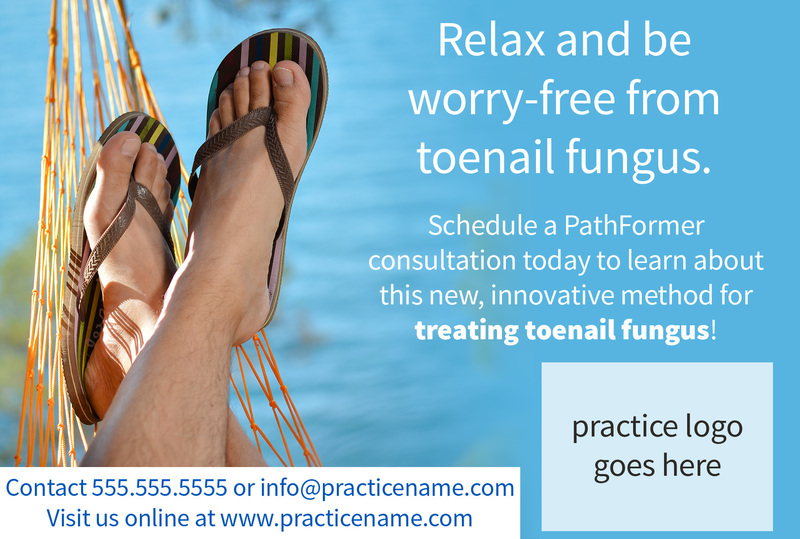 Plus, NO DEBRIDEMENT is necessary! 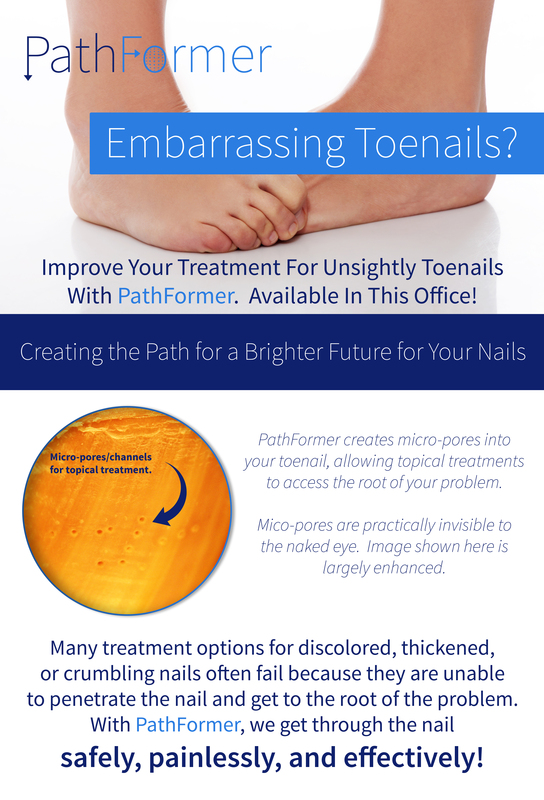 Patients do not need to suffer the loss of their nail(s).